Hi. Hope you are having a good life. In this post, I am going to share with you my knowledge about the resistor basics. A resistor is the part of almost every electronic circuit. I personally did not see any circuit without it. And this makes it a special and interesting component to learn about. In fact, to be honest, a resistor is the very first thing I learned on my first day in engineering university. 1 What is a Resistor? 3 What is Electrical Resistance? 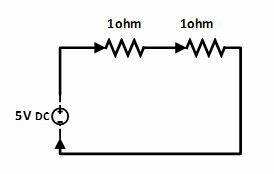 5 How can you identify resistor in a circuit? 10 Where can you buy resistors? The straightforward definition is a little bit confusing. let me take you step by step, with simple examples to make it clear what basically resistor is. To have an insight about the resistor, you need to understand the following two terms first, resistance and electrical resistance. Resistance is a general term, defined as “the measure of a property of anything to oppose the flow or movement“. Consider two pipes, one is narrow and other is wide. Suppose that high-pressure water is flowing through both the pipes. The flow is smooth through the wider pipe, while it is restricted in the narrow one. This happened because of the fact that the narrow pipe is opposing the flow of water hence is providing resistance. While, there is less opposition offered in the wider pipe, hence water flows smoothly through the wider pipe. Did you notice one thing here? The higher the resistance, the more restricted is the movement. Keep this in mind, it will help you later. An electrical resistance is an opposition offered to the flow of current through a conductor and is denoted by R. By definition, it is the ratio of the voltage applied across the conductor to the current flowing through it (Ohm’s Law). Its unit in electrical terms are Ohm represented by Greek letter omega. A two-terminal electronic component which provides resistance to electric current flow. The next question you might have asked yourselves would be, how does this device look like? You’ll get the answer next. I like it very much because its very easy to remember. And I have very strange imagination for it. I think the symbol as mountain range. Just like going through mountain range is hard. Similarly it hard for electric current to flow through it. By the way, this is just my personal imagination. You can have your own imaginations about it and share it with me. It would be fun to see the resistor according to your imaginations as well. 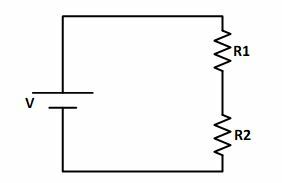 The next time you need to identify a resistor in a circuit diagram, search for a zig-zag pattern in the diagram, and there you know is your resistor. The resistor might have some labeling as well, it will tell you what its resistance is. How can you identify resistor in a circuit? You might have asked yourself another question at this point. Does a resistor physically look like that too i.e. a zig-zag type of thing? Then how does it look like? It just looks like a sausage with some colored lines on it. It is just a tiny device that you might miss to notice it in the first attempt. Carefully observe a sausage-shaped thing with colored lines on it, and I’m sure you will find a resistor without difficulty. Other important thing to learn is resistors come in many packages, for beginners it is good to just know through hole and surface mount resistors. Most important in learning resistor basics is measuring the value of a resistor. Resistance of a resistor is measured in Ohm. But how we can measure this Ohm value is a very interesting question. Traditionally, most people categorize their resistors by simply buying them in categories, storing them separately and labeling them. I did that too until I learned ways to measure it. While this is one way, it not the standard and efficient one since you may get them mixed and there you know you are in trouble. Using multimeter for measuring resistance is the most technical way for an engineer or for any one who wants to learn basic electronics. This a huge topic and I have decided to write a separate post for it. 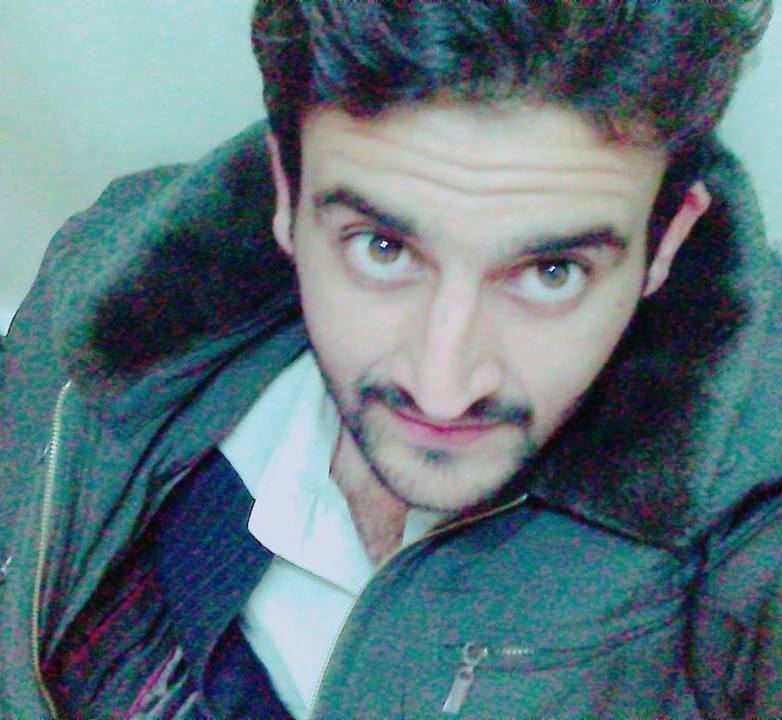 The moment I write it I will update a link here. The current post is about to teach you the resistor basics. And in resistor basics some topics are those which I want to make a separate post for it. Actually my purpose is, if you are really into basic electronics, my job is to provide you every detail about it the best way possible. I want to share my knowledge of basic electronics with you to just help you out as a brother. This is an interesting way of measuring the resistance of a resistor. It comes in handy when you don’t have a multimeter with you and you need to measure the resistance of your resistor. Here you will need to have some theoretical knowledge. A resistor has some colored lines on it. These colored lines are the color code of the resistor and they tell you what value each resistor is carrying. 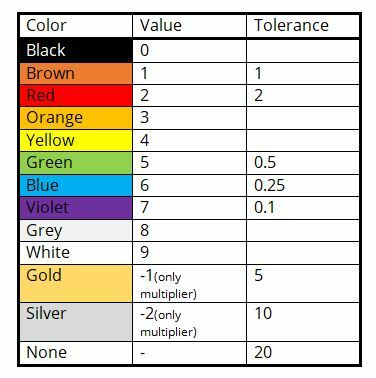 Compare these color with the following color code table and calculate you resistor value in second, or you can use online color code calculators for doing so. I love using this website. Have a fun with color code online calculator. Each capital letter in the sentence represents the colors in the table in the same order. Usually, the resistors are coded using 4 color bands. The 1st to 3rd bands represent the resistance value, while the last band is the tolerance value. The 4th band usually constitutes the gold or silver color. From the 1st to 3rd bands, the bands 1 and 2 represent numbers and the 3rd band represents the multiplier i.e. a power of ten. For the third band, the actual color value becomes the power of ten. Identify the tolerance band. It will be silver or gold in case there are 4 bands on your resistor and will be slightly farther from the rest of the bands. The reading direction is then from left to right, keeping the tolerance band to your right. 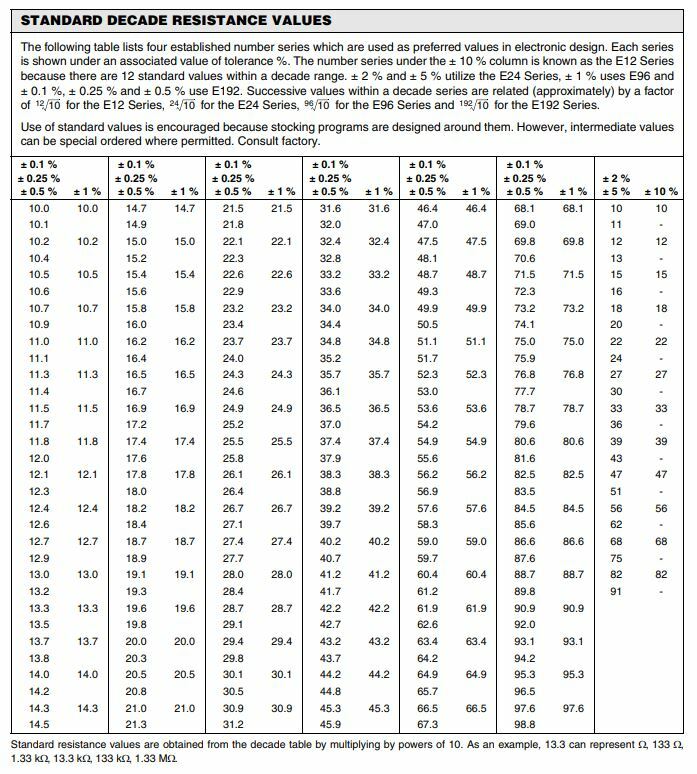 Resistors are only available in some standard values. While these range over large values, there are certain values which are not commercially available. If you need such a value, what would you do? There is a simple solution. You combine resistors to achieve the desired values. The combination can be series or parallel, or combination of both. But the basic categories in which the combinations fall are only series and parallel. Following is just introduction to series and parallel resistances. If you really want to go in depth of it see my this post. In series, the output resistance is always greater than the single resistor values. To understand, let’s consider a circuit with 1Ohm resistor. Now let us add another 1Ohm resistor in series to it. 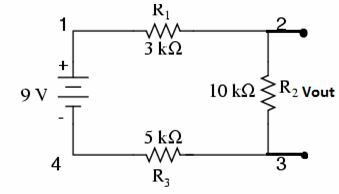 By adding the resistance, the total resistance of the circuit becomes 2Ohm which is greater than either of the resistors present in the circuit. In this combination, the resistors are connected in parallel. So, when the current flows through the circuit, the current is divided into the branches. The amount of current through each branch depends on the amount of resistance connected to each branch. More the resistance, lesser will be the amount of current flowing through it. The output resistance of the parallel combination of resistors is always less than the minimum value of resistor that is present in your circuit. You might have encountered situations where you are connecting two circuits or driving one circuit from another. In such cases, you might have felt the need to measure the resistance of the whole circuit. One thing which is important to mention here is that the resistance of a complete circuit is commonly termed as “impedance” because it also includes elements such as capacitors inductors etc. Another important thing to remember here is that there are two types of impedances that you can measure in a circuit an input impedance and an output impedance. Now if you are a person like me, you might have difficulties understanding and be distinguishing the terms. Let’s understand it in simple words. The input impedance is what is seen by the source or input. The output impedance is seen at the output terminals. The input impedance or resistance of this circuit will be the impedance measured at the terminals Vin. The output impedance of the circuit will be the impedance of the load circuit i.e. circuit 2 in the above circuit. Now compare this complex circuit with the simple circuit above and try to relate circuit 1 with R1 and circuit 2 with R2. What you get at the end is 2 resistors in series.Now try to relate the resistance measurement of both circuits. The input resistance will be the sum of both resistors and output resistance will be the R2. 1. Before you begin to read the advantages of the resistors, think for a while for yourself. Can you guess any advantages that a resistor may offer yourself? Resistor restricts current flow. This is an advantage of a resistor that it restricts current flow. You might be thinking how? Let’s think of something that makes it easy to understand. Imagine filling a balloon. It has the certain capacity to which it can expand. If you overfill it, what happens? Now consider electronics components as balloons and current to be the air you are filling it with. You are guessing it right, more current will damage the devices. They may not burst like balloons do, but they will burn. So, to avoid such mishaps, you connect resistors in your circuit, so the currents do not exceed a certain limit and damage your precious circuit components. Let the output is being taken from R2. Then changing the value of R2 will affect the voltage appearing across it. This is what we call voltage division. This is just like pouring water from a jug into glasses. The larger the glass, the more water it receives. 3. Resistors are used in feedback systems as well. Op amp uses resistors to limit their ideal infinite gain. Where can you buy resistors? Resistors are two terminal, electronic devices that restrict current flow and have no polarity. By definition, it is the ratio of the voltage applied across the conductor to the current flowing through it. Its value can be measured using a multimeter and color codes. They can be combined in series or parallel to achieve various values and build complex circuits. The resistance of a complete circuit can be measured at both input and output ends and is termed as “Impedance” of the circuit. They offer advantages in terms of safety, limiting current and dividing the voltage. This was all about resistor basics. Hopefully, it has helped you. If you have any suggestion or question please free to comment or contact me. I really do appreciate that.